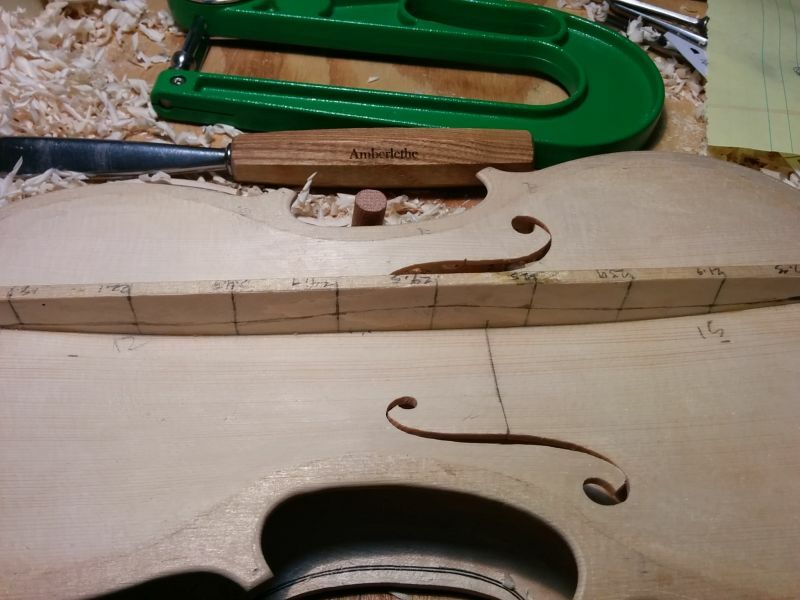 This violin– or VSO, if you are a stickler for “the rules”– has been a few years in the making, through some life-changes and a move. 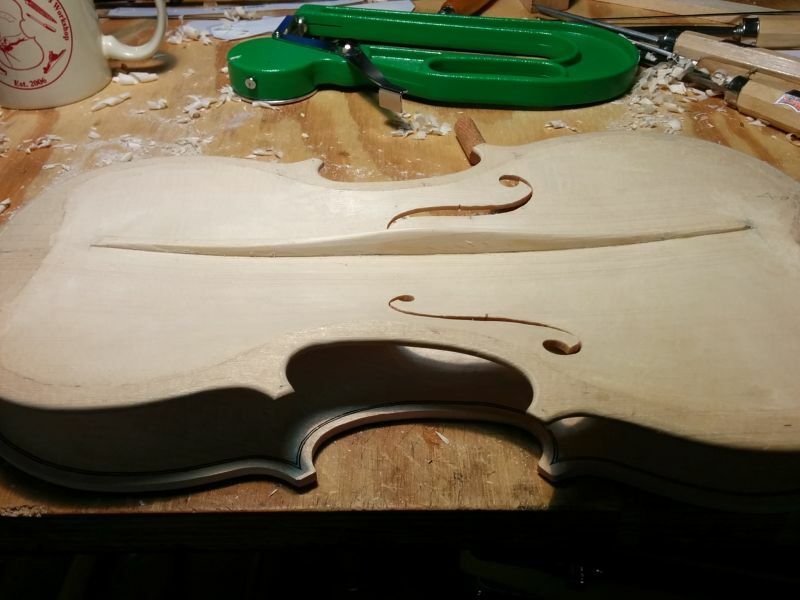 I did much of the work during the June 2017 Southern California Violin Makers Workshop. 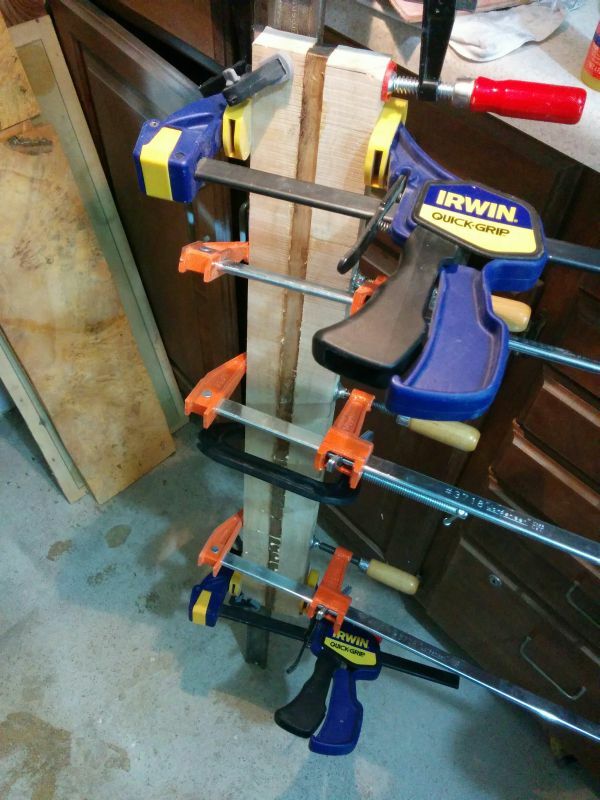 For the top, I chose a knotted piece of firewood, selected from a $6 box I acquired at a nearby grocery store. 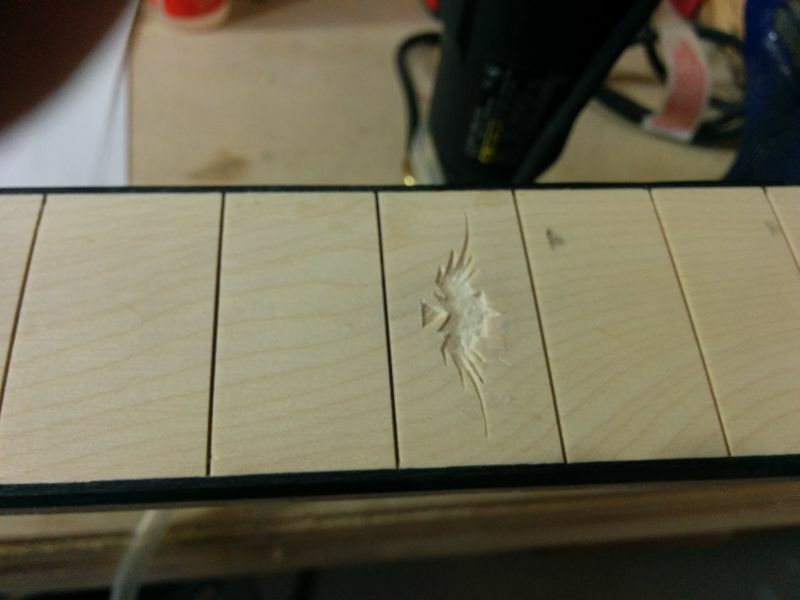 There was a knot right where I needed to cut an f-hole, and it presented a challenge but was worth the effort once I succeeded in it. 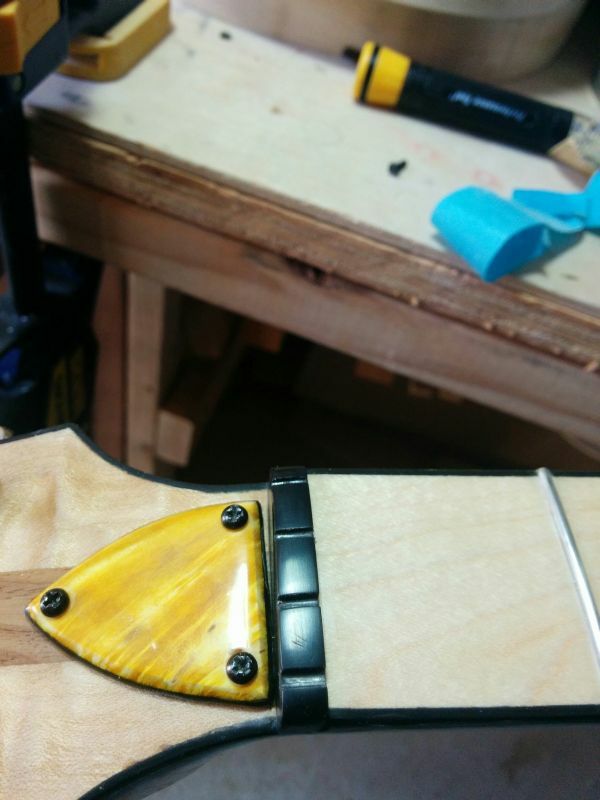 I sealed the surface with a polyester resin– more commonly found on sailboats than on violins– and french-polished over that with a hint of amber shellac. It happened that my work on the f-holes coincided with many exciting photos of Jupiter being published in the news at the time, and I imagined my striated firewood top with its reddish knot-holes as the storms of that interesting planet, hence my name “Jupiter” chosen for this instrument, and the astrological signs inlaid into the back plate. Pomona College in Claremont, the location of the Violin Making Workshop. 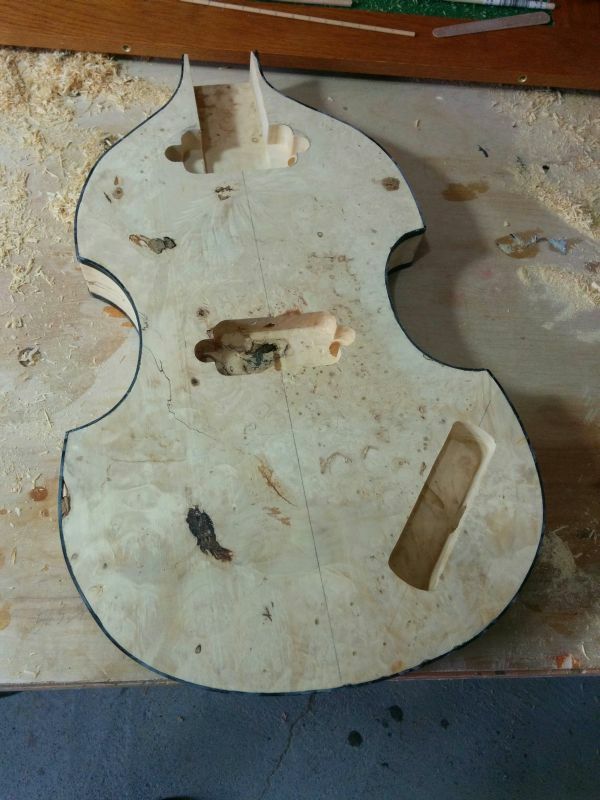 I made it home after a great week of violin making. The workshop will continue for two more weeks, and some of the attendees will stay for the remaining sessions. Others will come and go. This year marks the 10-year anniversary of the workshop, three of which I have spent in attendance. 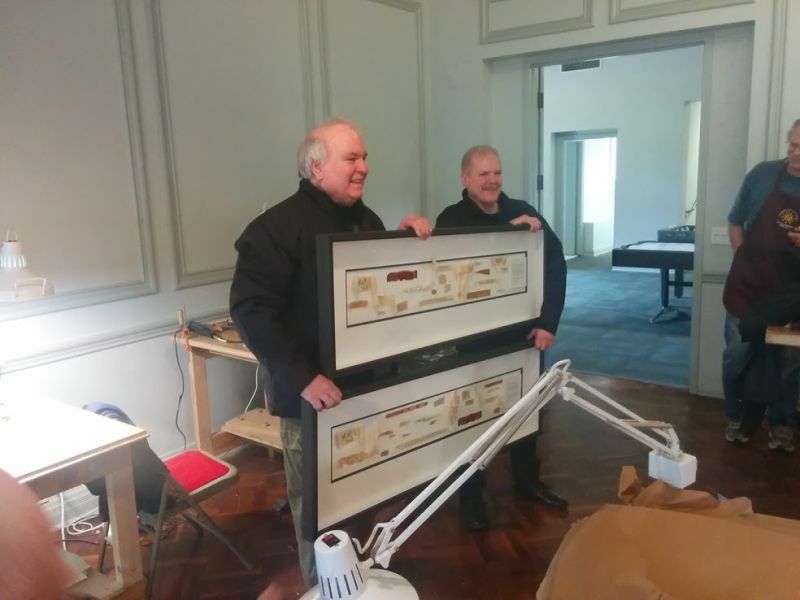 For the anniversary, a number of us who had attended in prior years submitted “personalized” wood curls and chips to be framed and presented to Jim Brown and to Michael Darnton. Jim Brown (left) and Michael Darnton (right) complete ten years hosting and instructing the SCVMW. 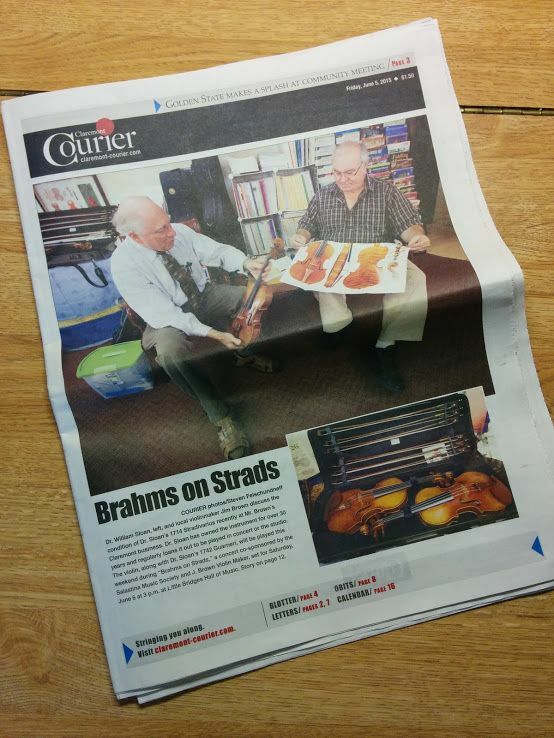 Dr. Sloan, pictured with Jim Brown on the cover of the Claremont Courier, occupied a workbench that neighbored my own. 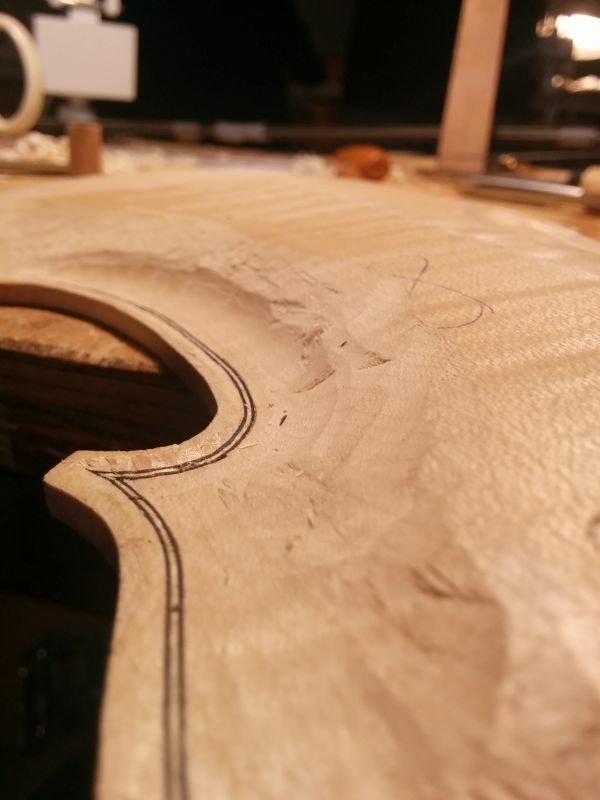 I watched with interest as he set the neck of the violin he has been making. The best aspect of the workshop, by far, is the diversity of the people that I get to meet, and the stories and experiences they bring with them. For instance, I met a woman who grew up in Berlin–a fine violist–who had once been an airline pilot. She married a violinist who plays with the LA Philharmonic, and he came along to the workshop with her and filled the halls with his violin music (plus, I got to hear a story from him about working with Yo Yo Ma). There was also the British engineer who had lived in Chiswick in London, and he found that he couldn’t just sit at a computer all day long. So he bought an “old” house in the midlands–in some little village the name of which I can’t remember–where he set up a violin shop of his own. I said to him, “when you say ‘old,’ you must mean something different than when I say ‘old.’ I live in an ‘old’ house, you see; and it was built in the ’50s.” And he told me about his house, built some time around 1700, and the roof leaks into his attic bedroom. He has a little bay window in the front, just big enough for a single violin to stand in; and people can pass on the High Street and look in and see him working. All of his advertising is word-of-mouth–there is no web site or social media or facebook answering the needs of his business. The butcher is his neighbor and wakes him each morning with the pounding of the cleaver. I picture Doc Martin or Peter Kingdom from the BBC shows I see on television, and I have nostalgia for something I’ve never even experienced. 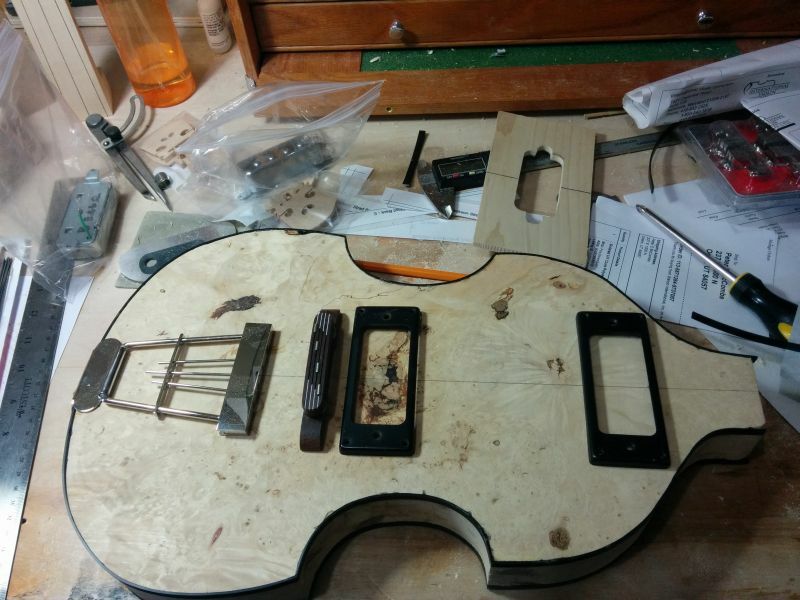 Well, now I know an English maker, and he clued me in to François Denis and the Traité de Lutherie, for which I am grateful. There was another woman who owns a foundation to help give music to those whose means do not allow for it, and she does work with Luthiers Without Borders, teaching the people of Haiti how to set up and maintain their own instruments. 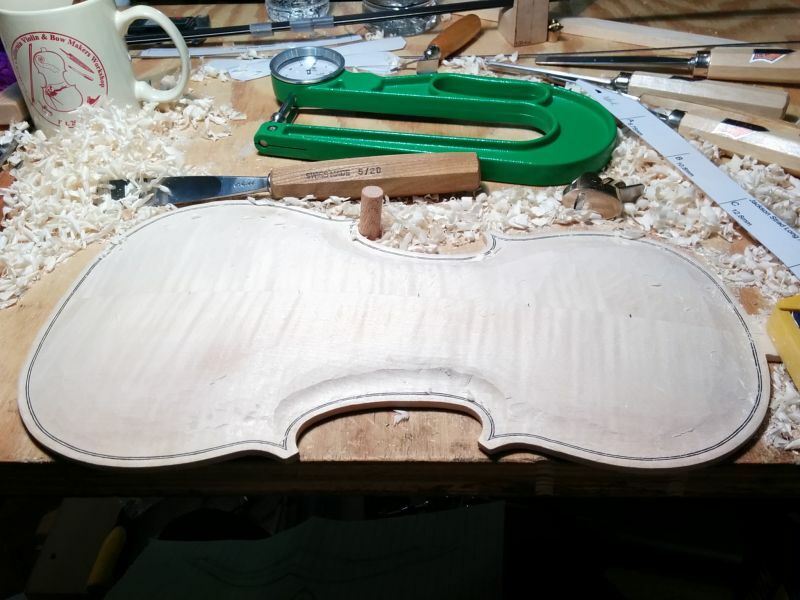 She first spent, I think, a dozen years in Cremona teaching herself the art of making and learning from the violin makers there. 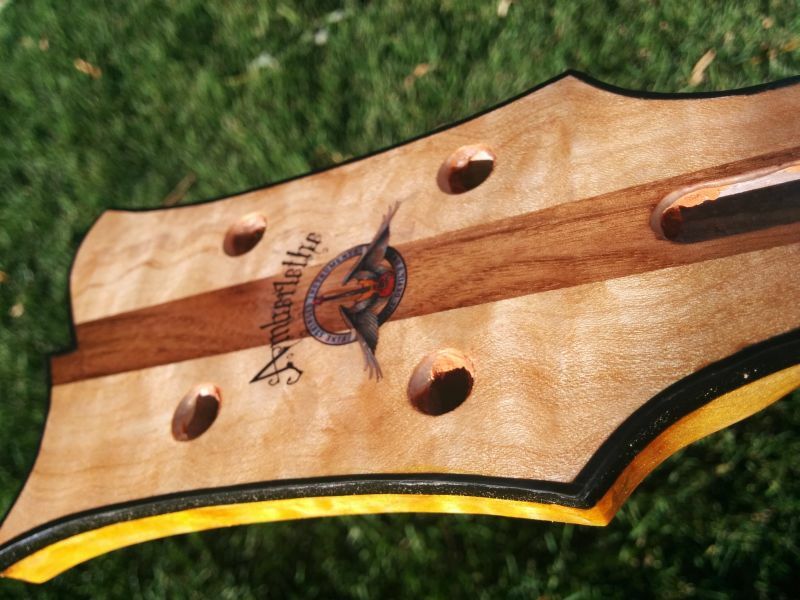 She has faithfully reproduced no less than Stradivari’s own personal masterpiece, the Hellier. There she was in Claremont, occupying the bench directly behind mine. Of course, we had Dr. Sloan and his famous instruments; we had a Puerto Rican software engineer, a school teacher, a biologist who owns a sheep farm, and various others besides. 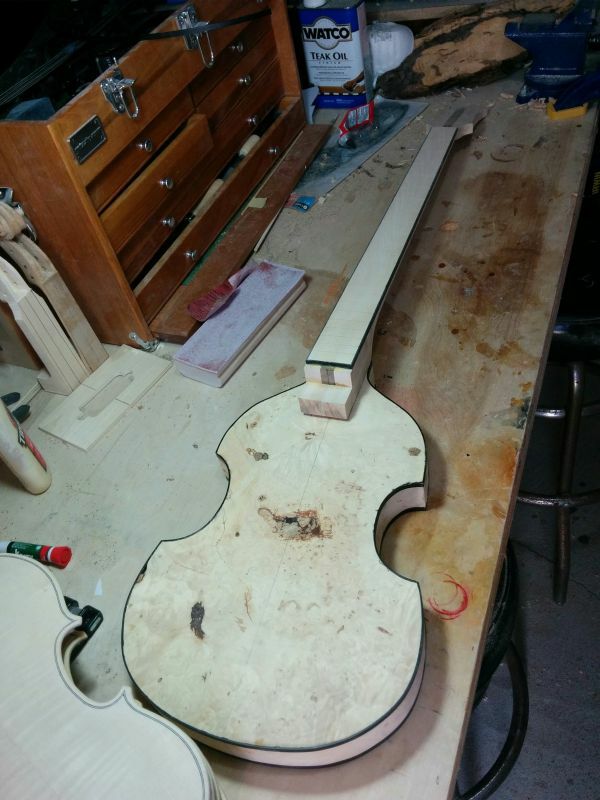 One need not be a violin maker to take one’s fill of the lore and wisdom offered up by a dozen or more personalities, all of them different. And so my time was well-spent. It’s my last full day at the workshop, and I worked until late tonight. 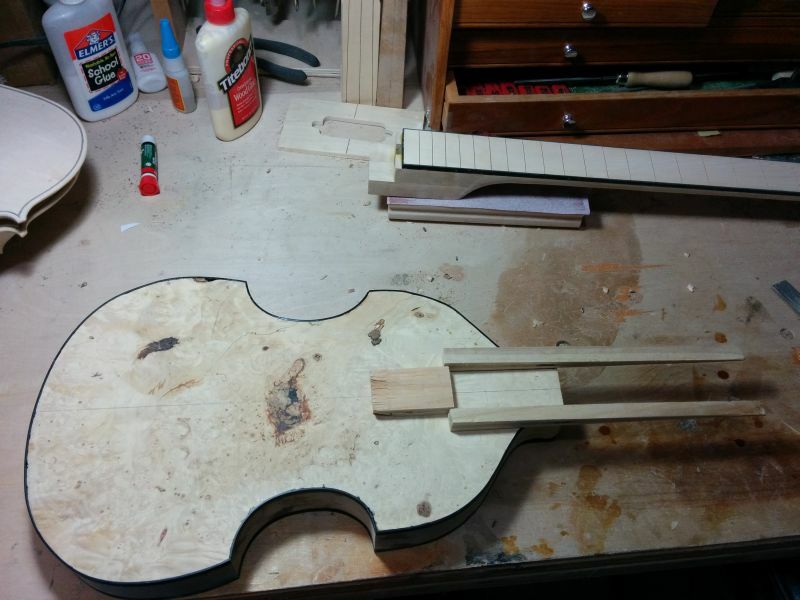 I managed to get another bass bar clamped, this time on my del Gesu top. For some reason, this one gave me a lot of trouble and wouldn’t sit right with the glue on it even after it seemed like it fit. After about three tries, I finally got it installed. 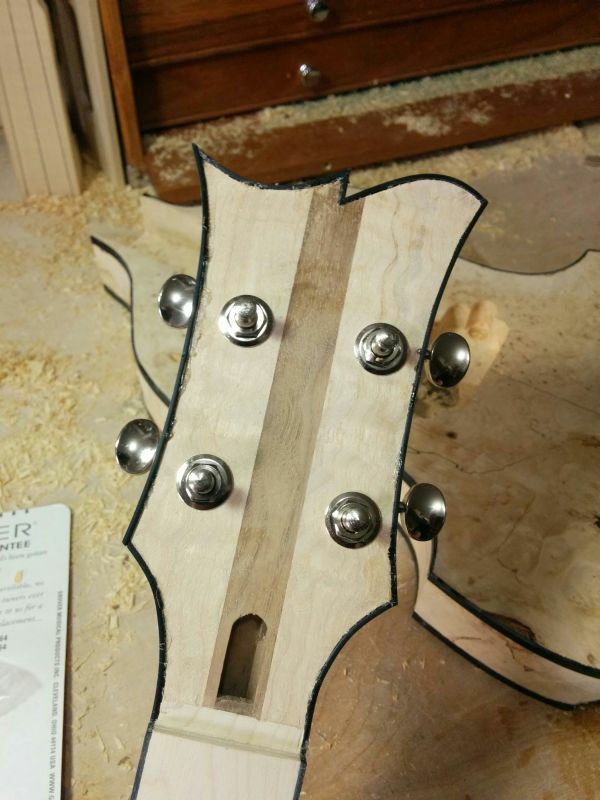 Before I could glue that bass bar in, I had to graduate the top to the right thickness. 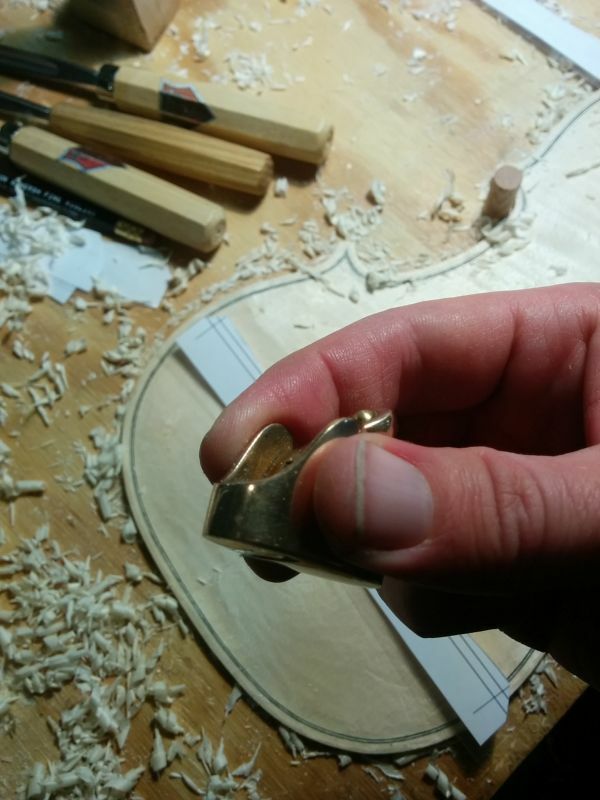 After roughing out most of the wood, I used a kind of hand-punch similar to what Stradivari had in his own workshop to establish the graduations. 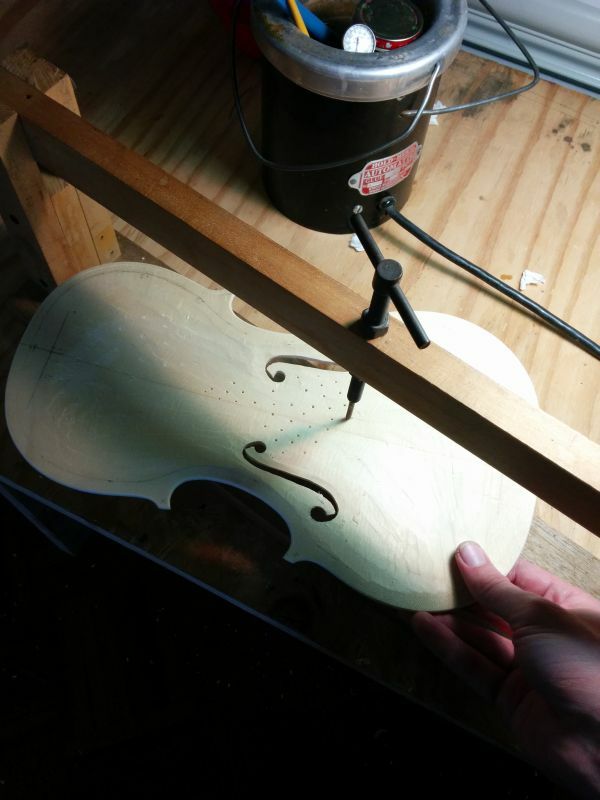 How it works is this: You first screw the punch down to the right depth, then you put the plate under it and press the punch in various places around the violin plate, poking little holes into it. 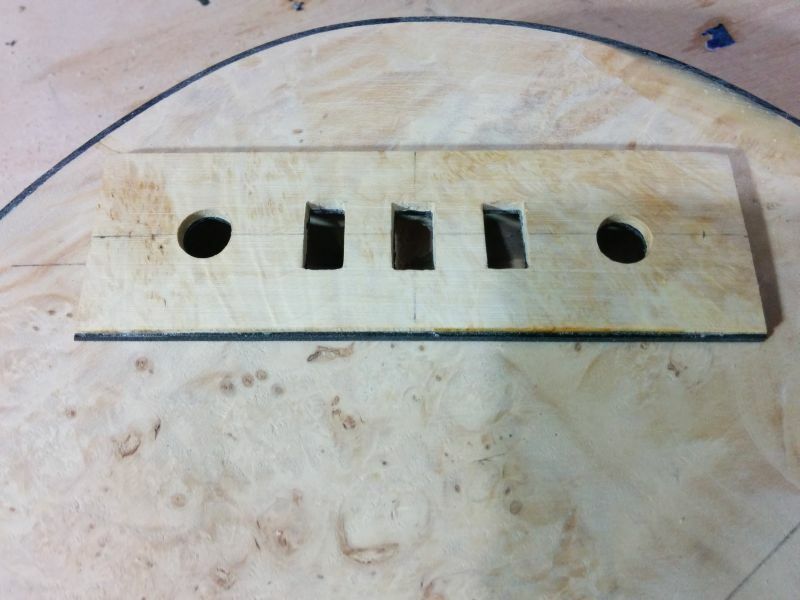 The plate is then planed down until the holes all disappear. 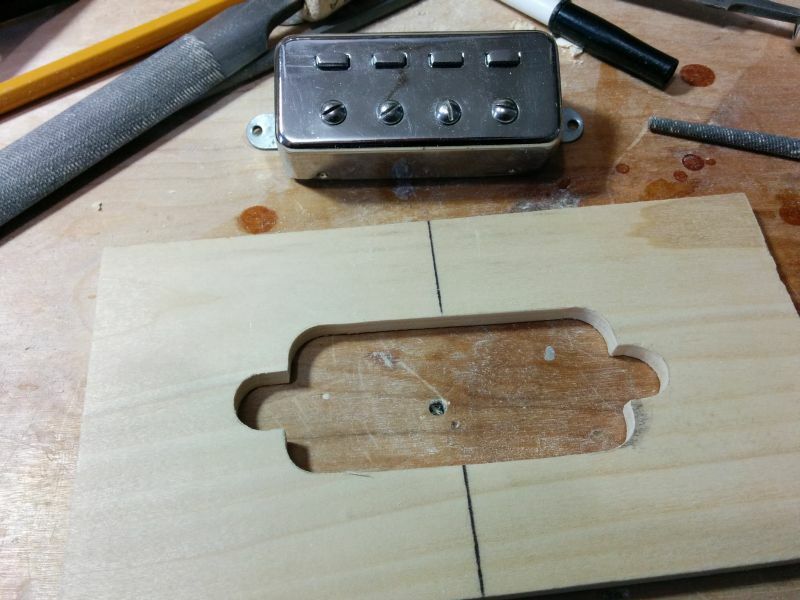 Punching the top plate is easier than the back plate, for two reasons. 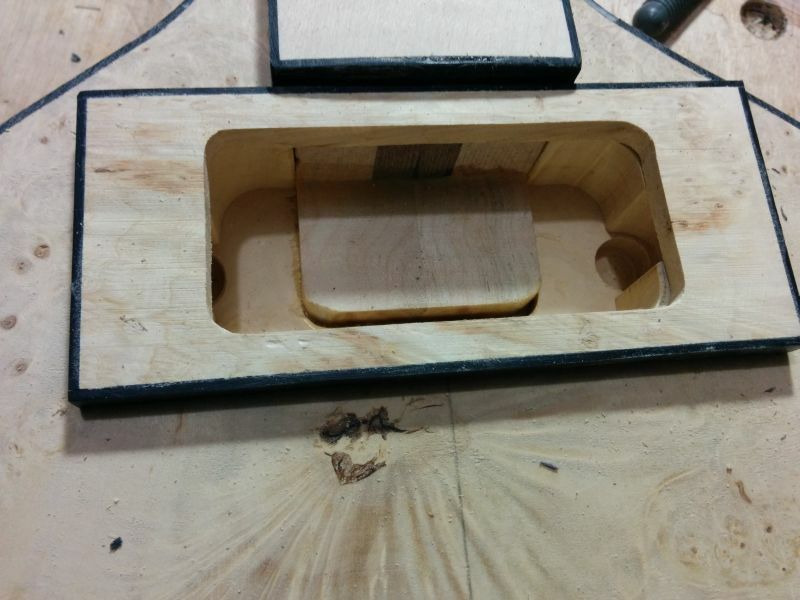 First, the top is spruce and it punches easily. 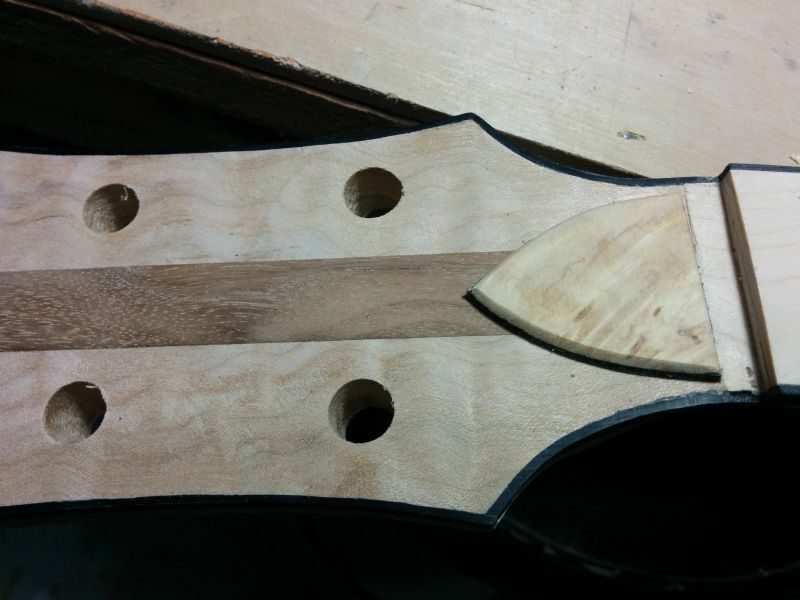 Second, unlike the back plate, the top is typically a uniform thickness all around, within a small margin to account for random human variation. 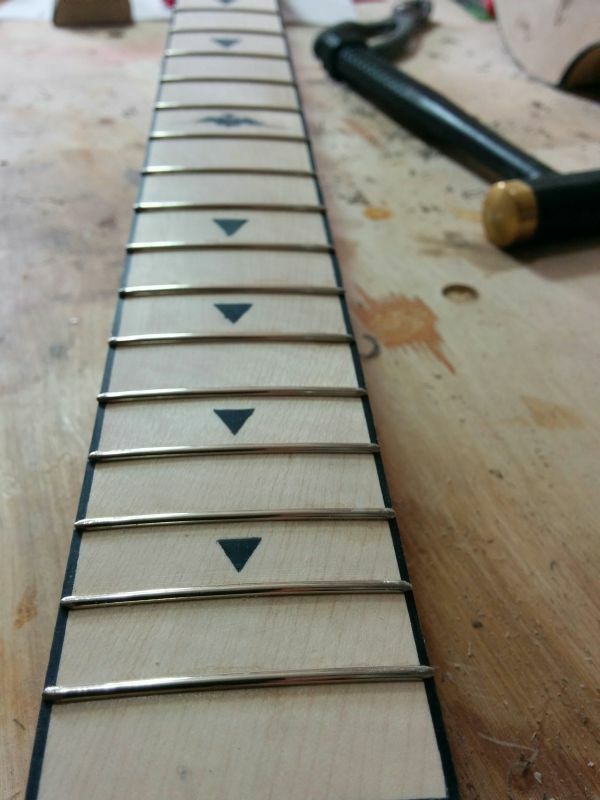 Some makers take these random thicknesses very seriously and imagine that they are deliberate, trying to reproduce the exact thicknesses to within fractions of a millimeter in the belief that it is critical to a good-sounding instrument. I follow Michael Darnton’s thinking and agree that the old masters probably did not intentionally do this. 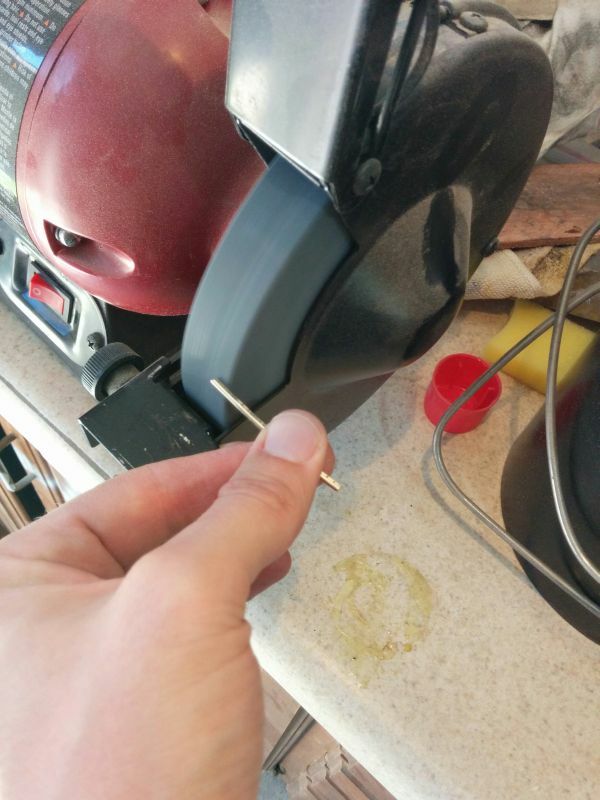 They simply didn’t have the precision measuring tools that we have today. In looking at the dimensions of various old violins, where the graduations have been exactly measured, we find a high degree of randomness. 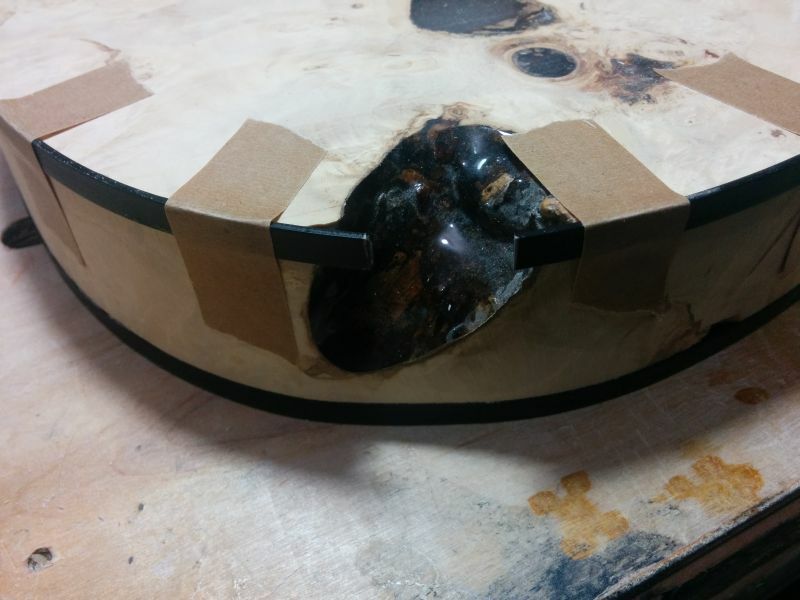 There are some general things, such as keeping the plate thicker in the area of the sound post, or the back plate that is generally thicker in the center than at the edges; but within the general guidelines, it is likely that the minute fluctuations we see in plate graduations can be chalked up to sheer chance. 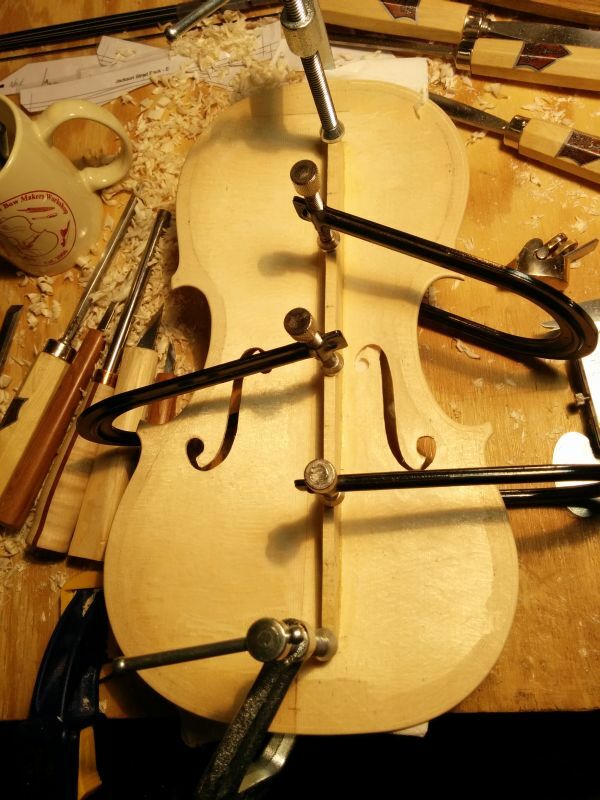 In fact, Michael is convinced that the industrial revolution and the invention of the caliper are directly responsible for a general decline in the art of the violin– by producing copyists that unsuccessfully attempt to reproduce old masterpieces in every possible regard. 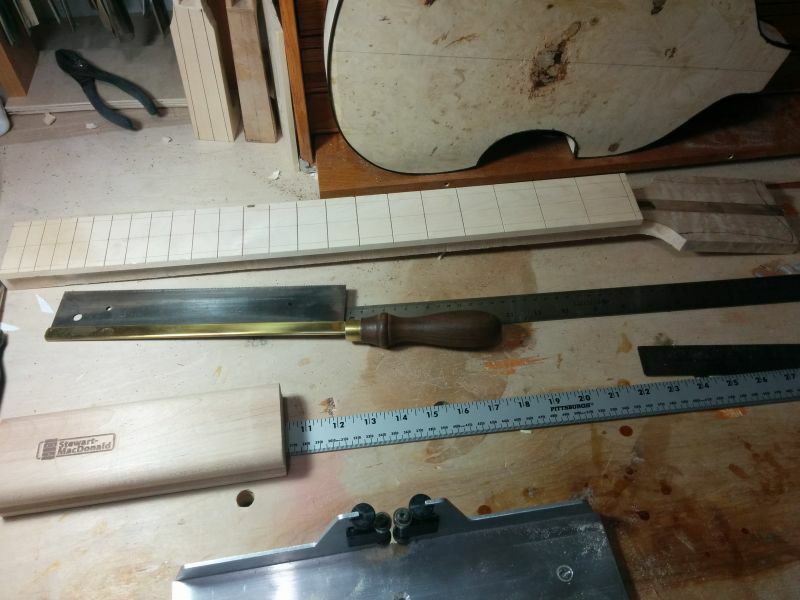 Thumb planes are especially useful for carving arches and graduations. Sometime tomorrow I’ll post a wrap-up and include more pictures of the work I accomplished this week. 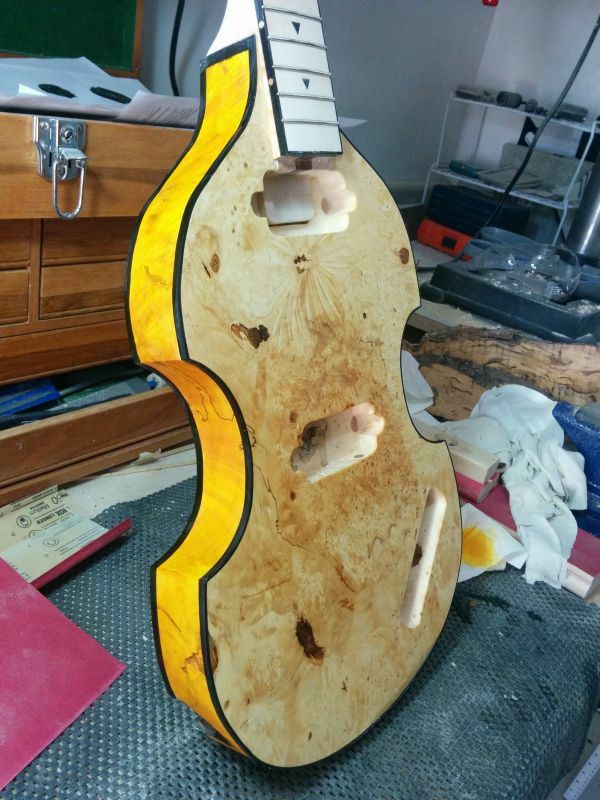 I didn’t finish a complete build, of course (not even in the white); but I should be able to finish these instruments pretty easily once I am back home in my own workshop– so long as I can keep up my momentum on them! I’m also working on a commissioned project at the moment, so I’ll post more about that as I get the time. Blister day today. 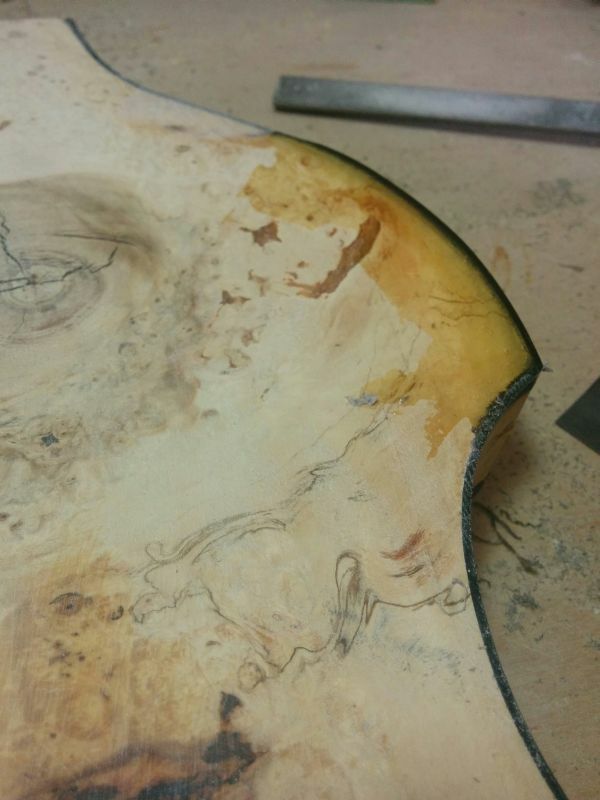 If I carved plates every day, maybe I’d get callouses there, but it’s the same story every time. 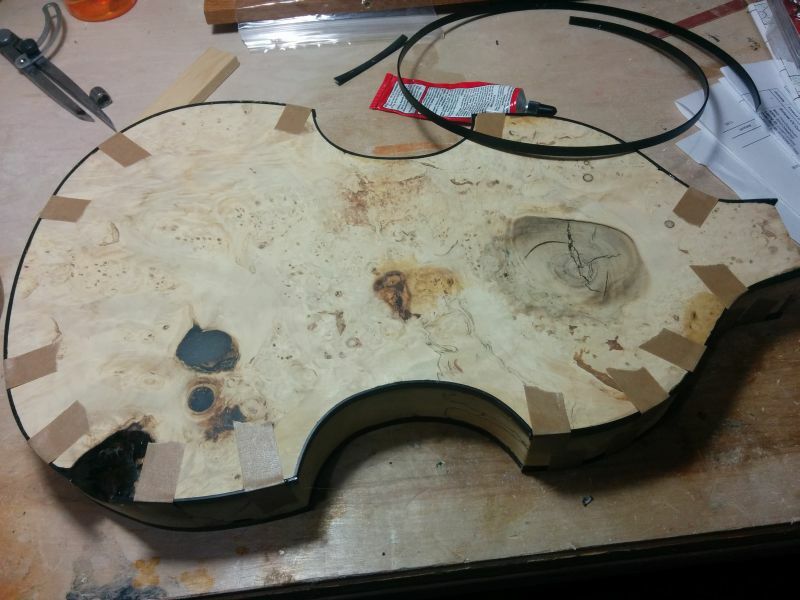 Most of the makers wear gloves when they carve plates, but I just put on band aids once the blisters get too sore. Band aids are the poor-man’s gloves. Those two projects took all day. 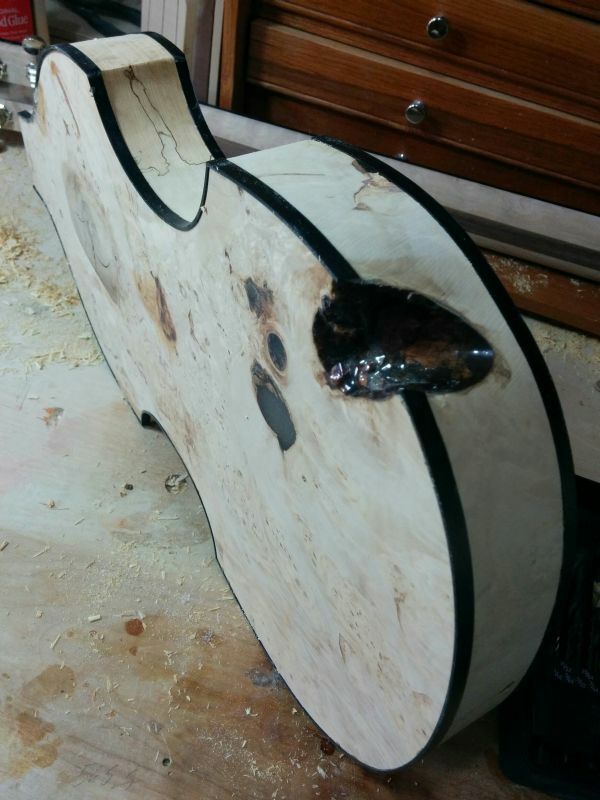 Carving is especially time consuming. There were some other events worth mentioning. We had a group of homeschool kids come in on a field trip. 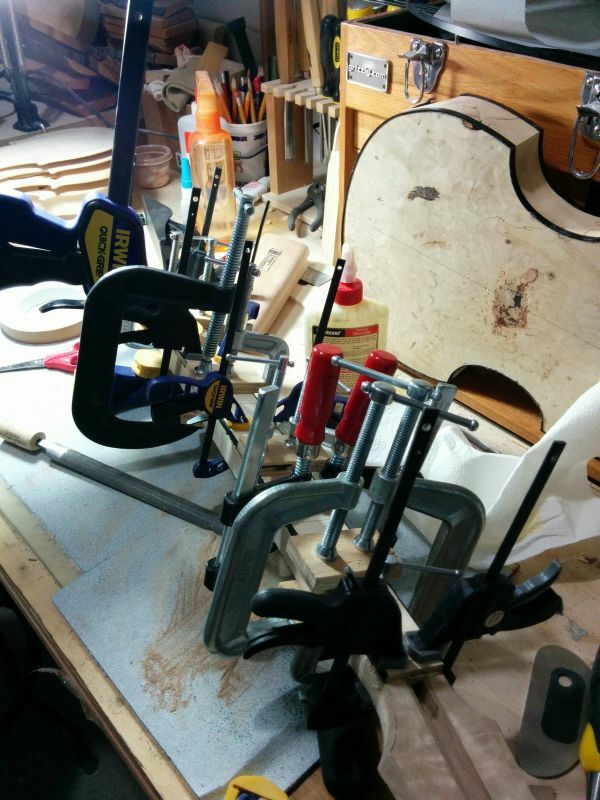 My workstation was especially interesting, as I had all of the principal pieces of the violin represented: Ribs, neck and scroll, top and back. 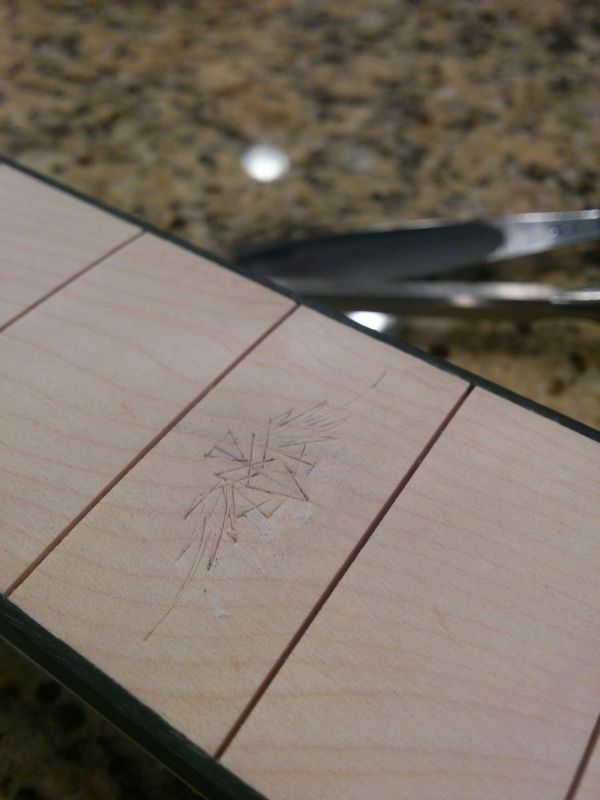 One of the homeschool moms asked if I drew the line around the edge of the plate I was carving and how I managed to carve over it without erasing it. So I got to explain that the lines aren’t drawn or painted but rather strips of wood that are bent and inlaid into the edge of the plate itself. There is also another conference taking place here in Claremont, and many of the attendees of that event have wandered in, quite interested in what we are up to. For our lecture today, Michael showed us a video on YouTube of Chinese workers churning out factory violins at lightning speed. It was a very ambivalent experience. On one hand, there were a lot of great things going on; ideas that we could benefit from. On the other hand, it was also discouraging to see. 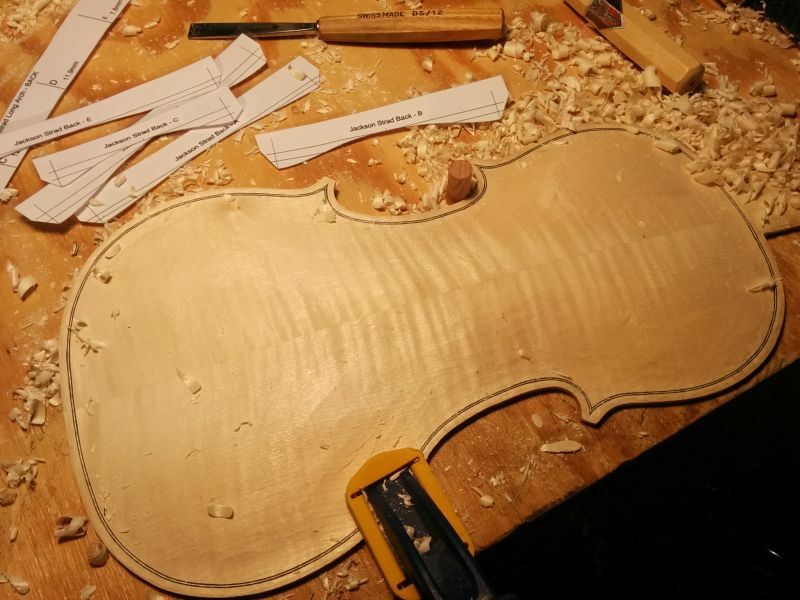 In the first place no violin maker will ever achieve the combined skills of a dozen assembly line workers who specialize in a single motion. One person installs purflings all day long, another bass bars, another graduations. Since they do no other job, their skill in that single aspect is insane. 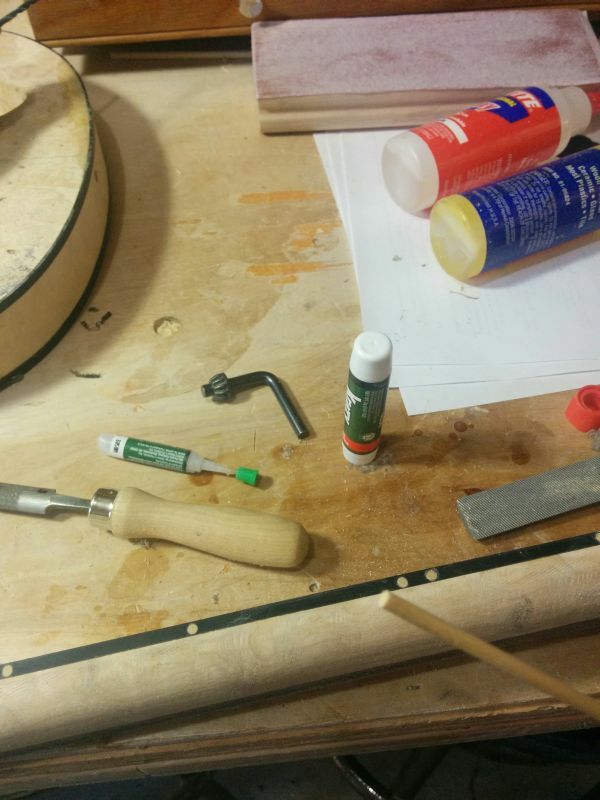 They work on dozens of instruments every week. Michael pointed out that they had become machines, churning out tools. There was no joy in it, no preciousness nor thought nor care. 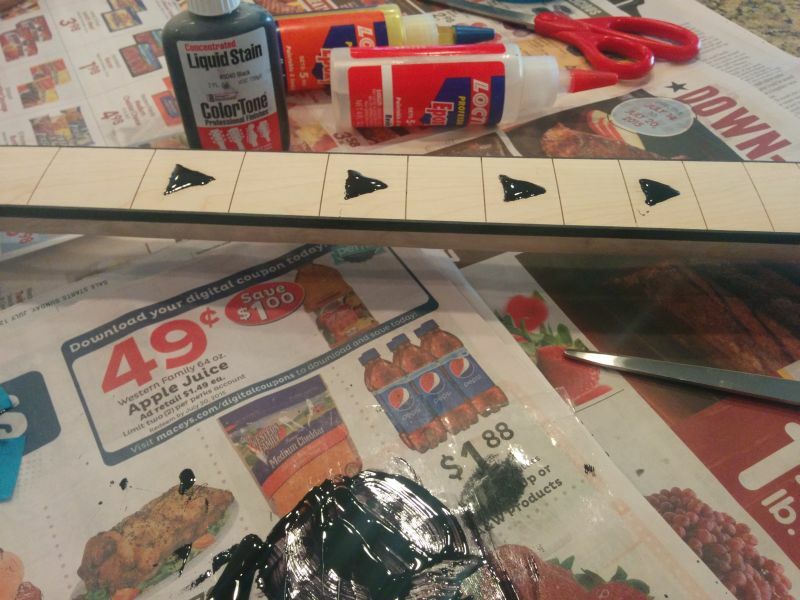 Chip… glue… rub… done. Toss on the pile for the next guy. 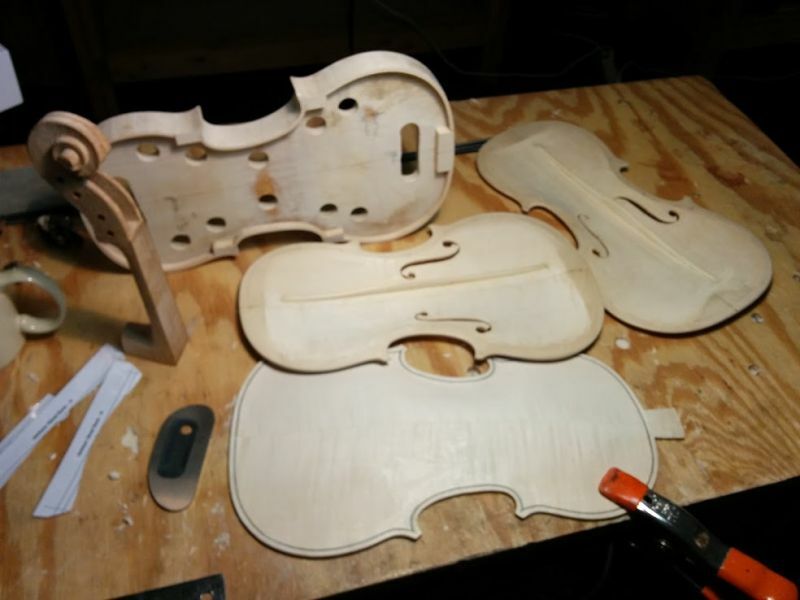 I got thinking that I’ve made some pretty amateur violins, and they took me a long time. 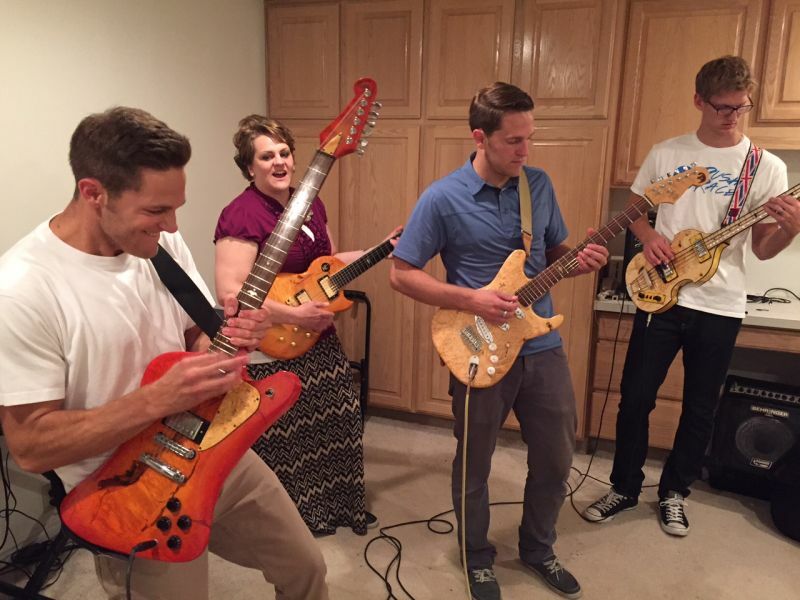 But an amateur instrument like mine can still be a surprising thing. 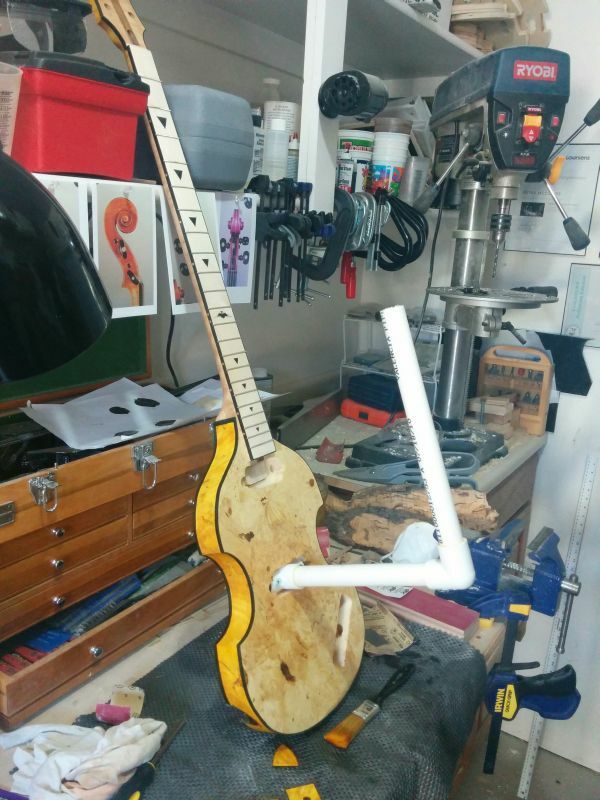 Who knows what it might do, or what a musician could do with it. Those factory things, though… there are no surprises there. There is no chance that perhaps a great one is lurking among them. They are all the same, all official, all standard. How does a musician mold such a thing to his or her unique expressive needs? 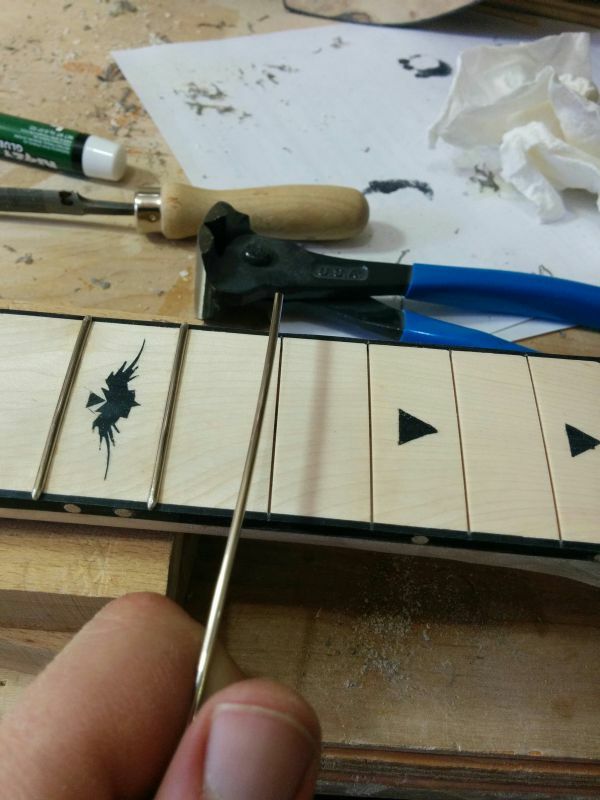 There are no stories and no muses that might come dancing off of those assembly lines, but in Claremont we are makers of talismans to inspire music. Still, Michael encouraged us to push ourselves and, most especially, to finish what we begin, mistakes and all. You never know when a mistake might be a happy one.